And not only does it look farrrr from party pretty ( killing the chic of a trending matte pout) but the cracked and tight situation also hurts like … really hurts! What’s a season stressed Social Gal to do? Quit complaining (drama kweens should be reserved for reality TV shtick only) and reach instead for the tried and true #THISISEVERYTHING. Relaaaxx .. I haven’t lost it, and am NOT advocating a hashtag as your kiss bliss solution. Keep the life coaches at bay. 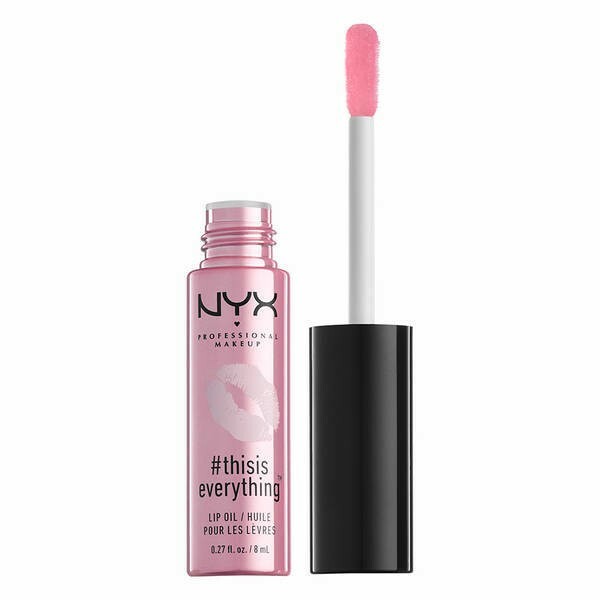 The cute H-tag also happens to be the name of NYX’s LIP OIL that I swear is worth stocking up on ... for a lifetime. After trying it all – every scientific and natural chapped lip remedy (from layers of coconut oil to pharmacy recommended Polysporin), the only thing that gave relief and perfect smoothing – instantaneously – was this miracle oil. One quick swipe of the avocado, rosehip, and jojoba drenched formula and suddenly the pain was gone, as were the seemingly millions of little pieces of dry skin that are, in a word (or several!) annoying and unattractive AF! So don’t be complacent, Social Gals and Gents! Get your Monday butts to the bricks and mortar pharmacy or link here for your very own lip fix ..